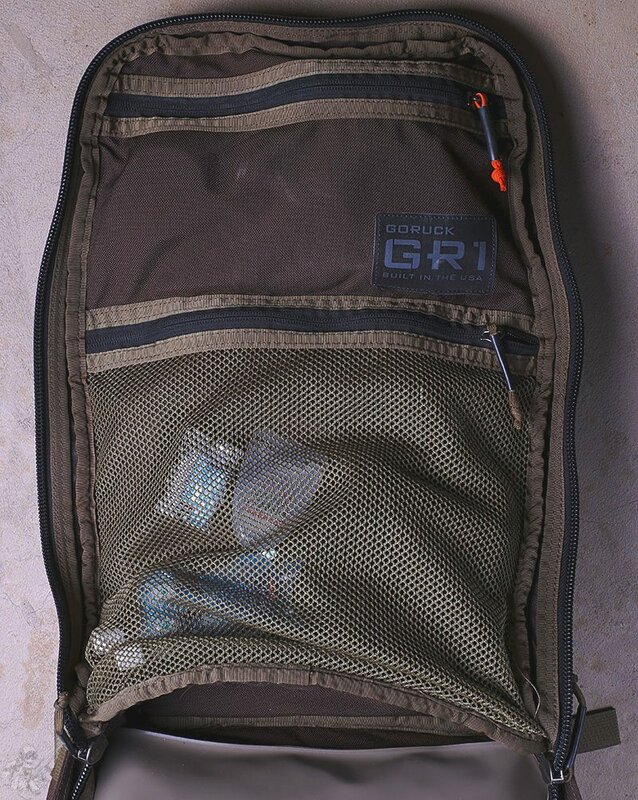 When I was gearing up to do the first of several Goruck events I decided that the Vertx Gamut was not the pack I wanted to use for that particular purpose, it was not designed the same way as the Goruck GR1 and offered a different type of pack for the "ruck" application. I ended up grabbing a GR1 in Java (which was a limited edition color at the time I purchased it) after signing up for a Goruck event. 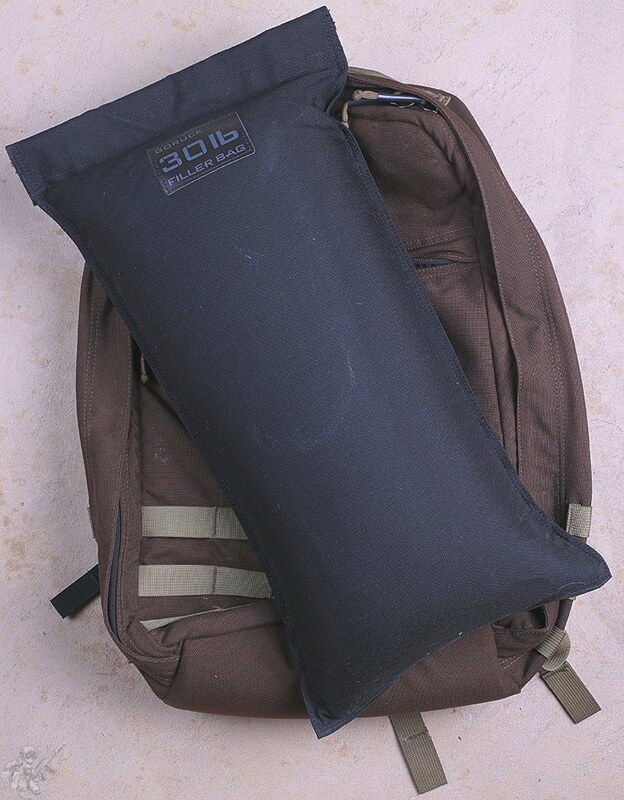 They send you a discount code (which I do not know if they do anymore or not as I have not done one in a few years) and I used the code to purchase the GR1 and a 30lb filler bag. I think the code was for 20% off? I do not remember for certain as it was around November of 2014. I have carried the bag nearly every single day from around May of 2015 until very recently when I replaced it with a Mystery Ranch Urban Assault . 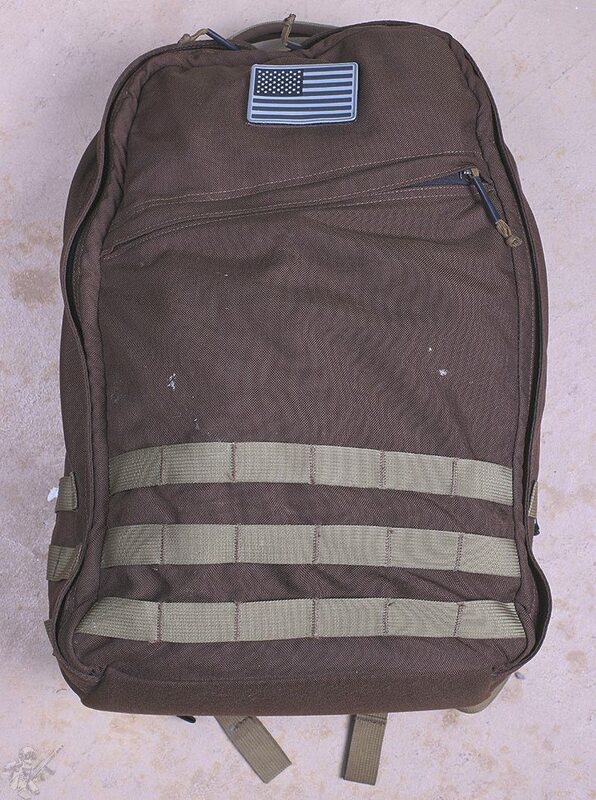 Not every single pack is designed for rucking weight for a long period of time. If you take a moment and remember back to your high school days, when you had a lot of books in your backpack and ended up dropping the bag at every single chance you could find. 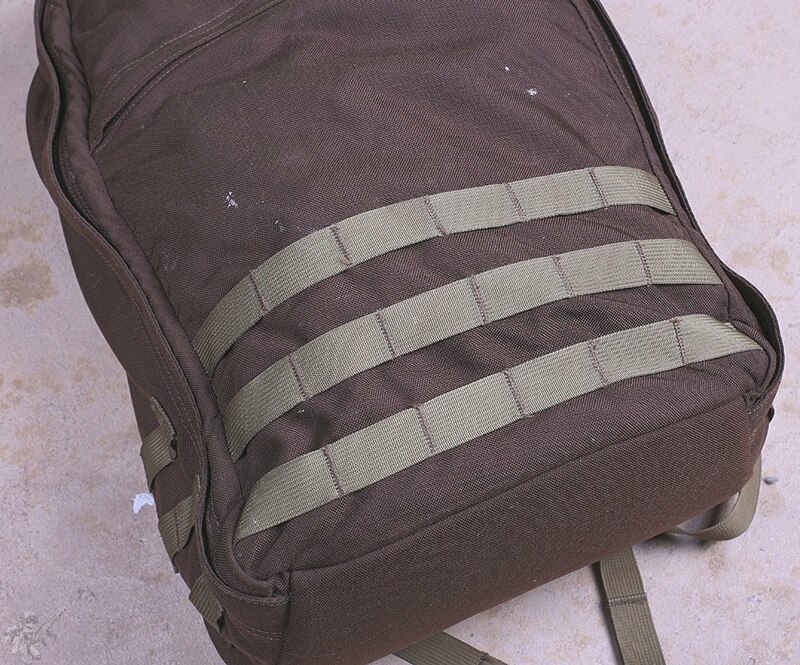 If you carried your backpack for any long period of time you would instantly regret it. Same goes for when you are rucking heavy backpacks for long periods of time. Up until that point I had done some rucking here and there with various packs. 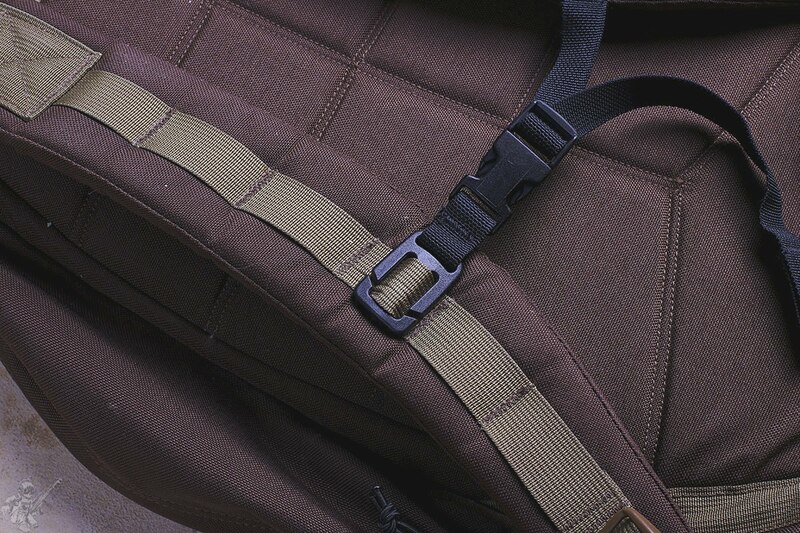 I did some with the Vertx Gamut and it just was not up to par with what I wanted out of a rucking-specific backpack. Since the GR1 had a decent reputation for being applicable to rucking and did not look like a traditional supported backpack (which I wanted to stay away from) I decided to get one specifically for the several Goruck events I was planning on doing at the time. 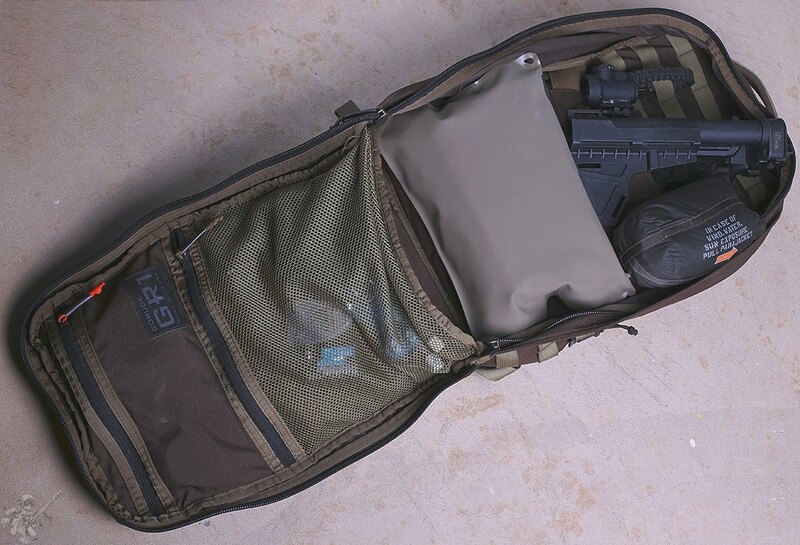 I purchased the 30lb filler bag as well which was designed to fit directly into the GR1 for the events and train up. 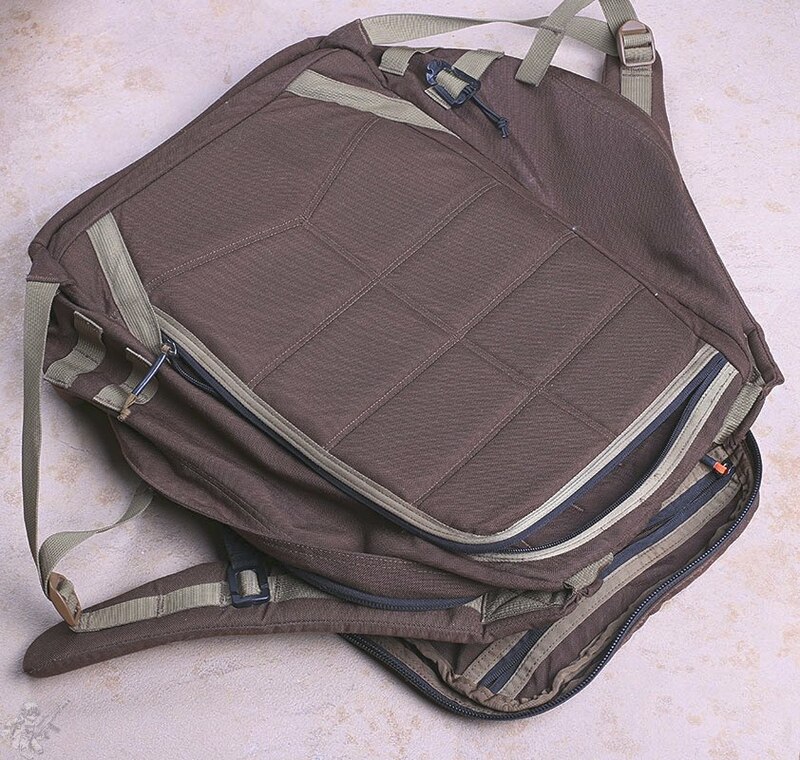 The most obvious difference between a rucking type pack and the school backpack type pack I came from (the Vertx Gamut ) is that its much more compact. Yes it is smaller in total size at just 21L, but it had plenty of room for various things. Big mesh pockets inside provide room for various items you need to keep retained. The overall size is big enough to fit a small SBR with a Law Tactical Adapter or a shorter barreled pistol with a brace with a Law Tactical Adapter or PDW arm brace. 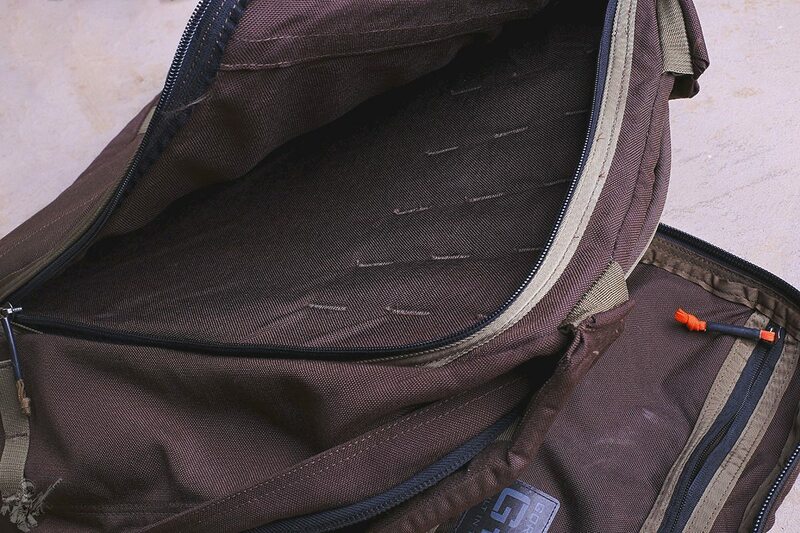 The back zipper pocket is large enough to carry a decent sized laptop or a large plate. 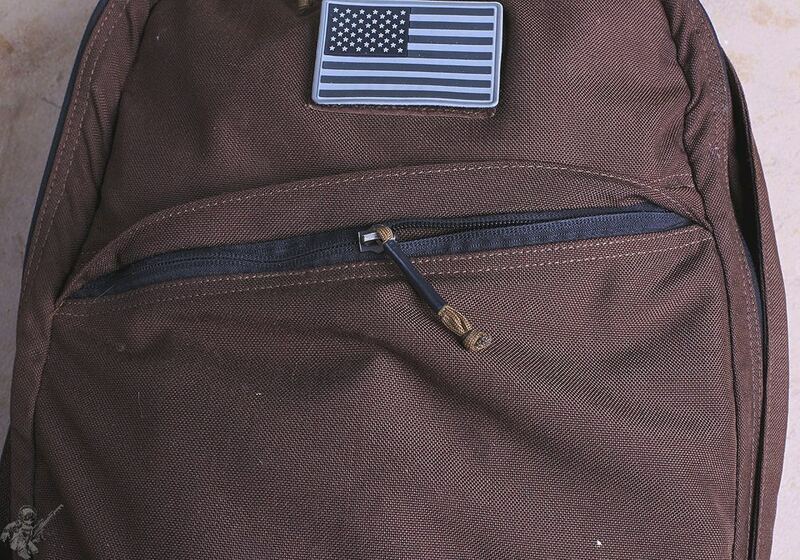 Shoulder straps have held up very well even with several events, daily use and heavy training for rucking. The zippers are all covered with a heat shrink plastic which is really durable. The zippers themselves are heavy duty and have taken a decent amount of abuse. 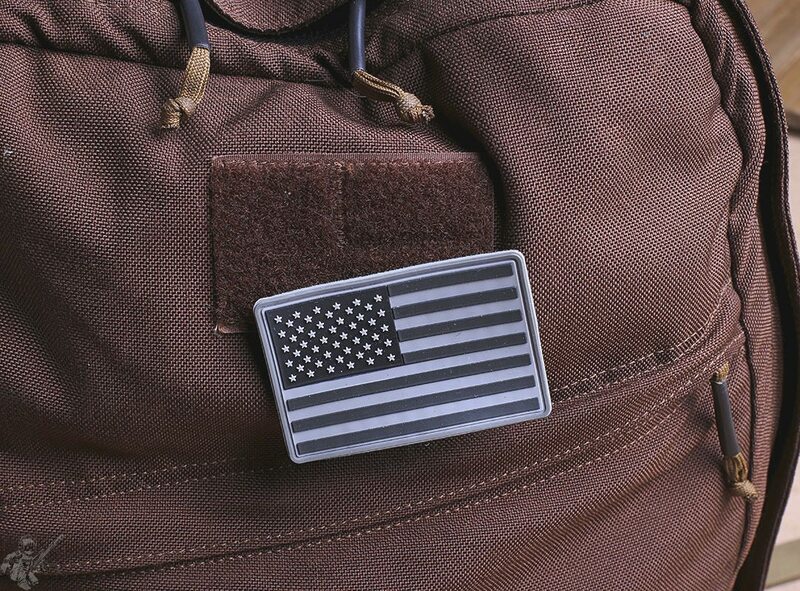 The single hook/loop patch at the top is designed to accept various Goruck patches which you get upon completion of an event. It is a pretty decent size and can accept various sized morale or flag patches if you feel so inclined to advertise. 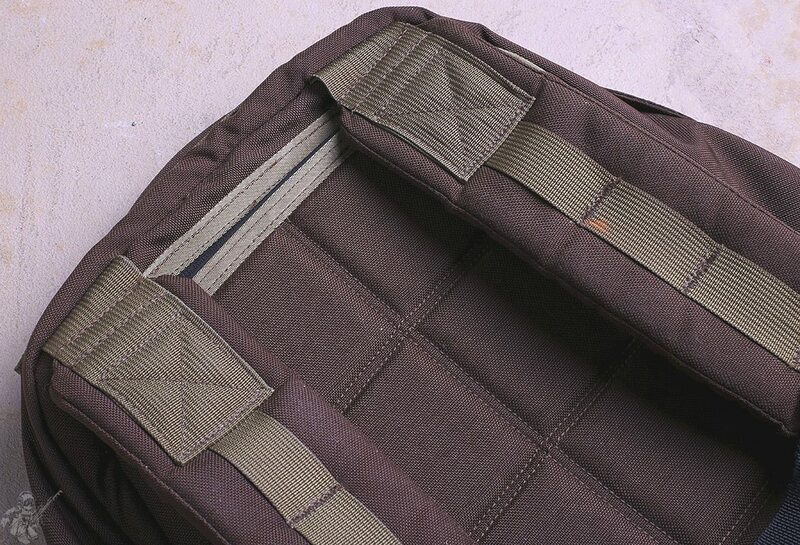 On the inside you have MOLLE for various items you want to stick inside of it that require it. They also work well for pens, light sticks and flashlights with clips . 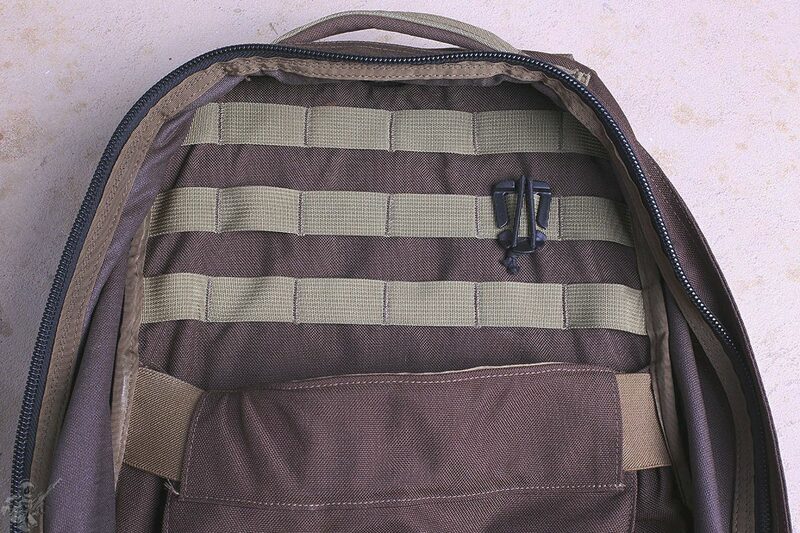 I usually put some web dominators on the MOLLE to retain items which would otherwise flop around like keys. To show how deep it is, that is a Glock 19 magazine, though it can be stuffed full of items and bulge a little bit, but still be centered with all the weight. The only real issue I had was that the hardware it came with, specifically the chest cross strap broke within several weeks of getting it. I found a set on Amazon at the time and ordered it, I think it was a third of the price of the one they sell on their website and it has not broke since. Other than that the pack has seen very hard use and abuse, I carried it on public transportation, in the rain and snow, left it in my car in direct sunlight to the point it was hot to the touch, the thing just works. I was considering changing it several times over the years and decided against it given what I have seen on the market. I finally decided that I needed a smaller bag which can do what I need, and I found that in the Urban Assault bag from Mystery Ranch . I need a specific item for a specific mission. The average person would probably not find themselves in need of the same requirements from a bag which I do. 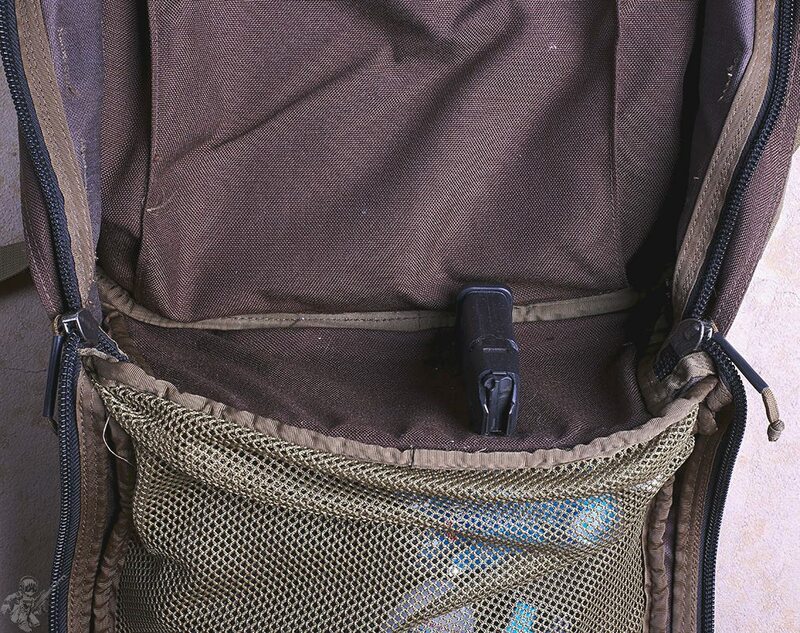 I think that now the GR1 comes in various colors and even though it has MOLLE on the bottom and sides it is widely acceptable in most places and even appealing to many as it comes in various cool guy colors like mulitcam black. I would say that anyone who is specifically looking for a bag they can buy and forget about the GR1 is definitely that bag. Did I need to get rid of it? No, I did not need to replace it, I did not need to look for a different bag, but my mission changed and my gear needs to follow my mission. 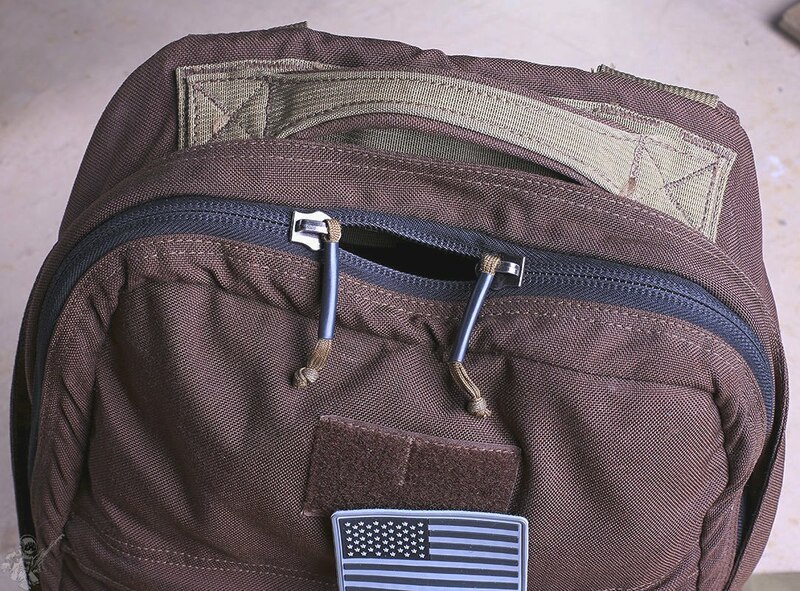 The two biggest things which I hear about the Goruck bags is that people believe that they are just knockoffs various LBT packs, like their iconic 3-day pack , which LBT makes in a slick version. That is just not the case, they are different packs designed for different purposes. LBT does big gov contracts, while Goruck is more of a society based company, stemming from the internal community fostered by their events. "Why does it have MOLLE on it?" That is a really good question, I do not know and I did not email them to ask. I am sure this question gets asked a lot of them and the Goruck bags. 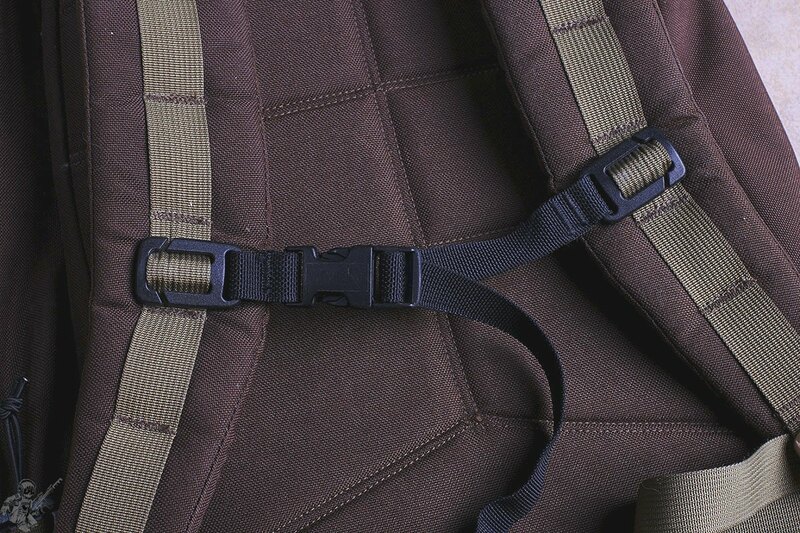 I considered removing the MOLLE straps with a thread puller but I decided that I would not. 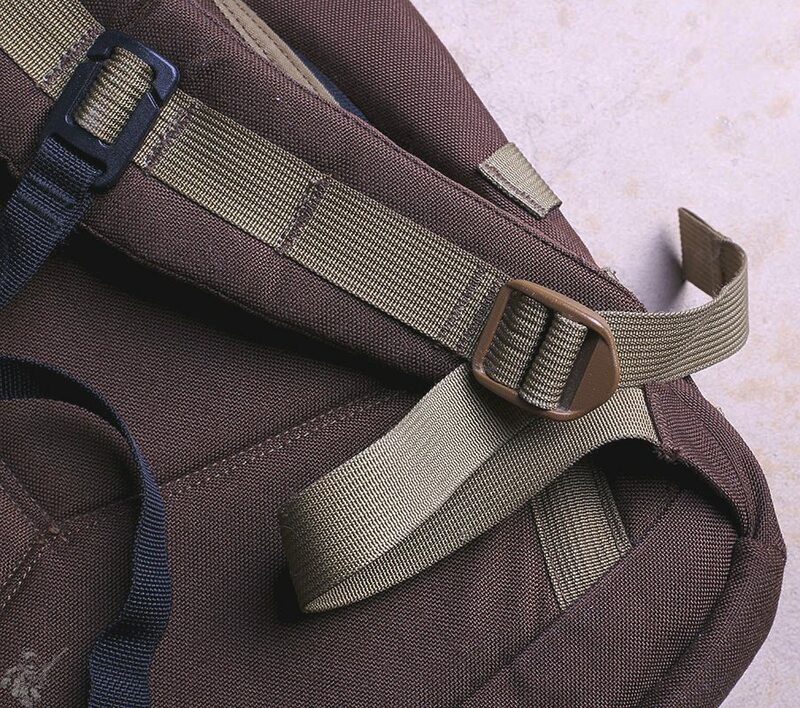 I think that they have a product which is designed around their particular rucking events and they sell accessories which can be added to those MOLLE straps as well as other things which are available in the aftermarket from various companies. I guess that is a good reason to keep MOLLE on the back, some people care, some do not, depending on where you are in the work and US. 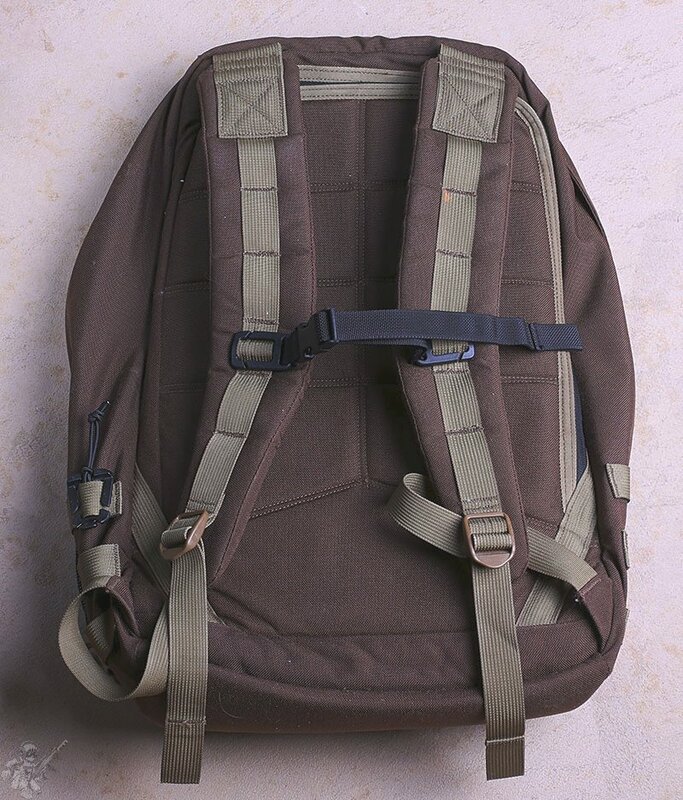 When I purchased the GR1 the hipster movement did not yet move into the MIL look yet. It was not until after I had the bag for a year or so did I start seeing similar bags around. Yes, even hipsters want bags which last and have decent warranty backing them. 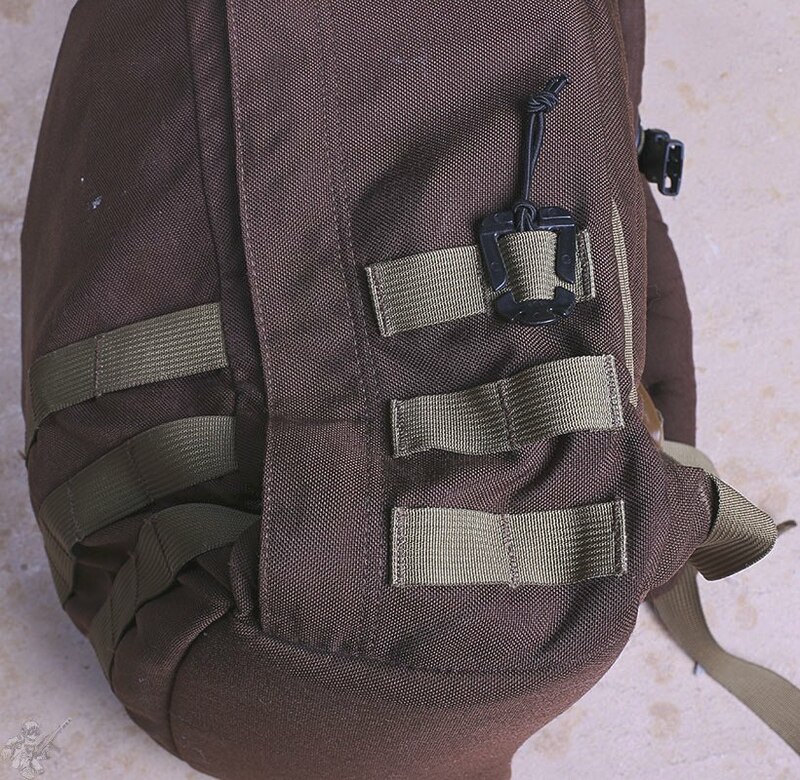 Speaking of warranty, I did not need to send back the GR1 back for anything but I know of a few people who did due to threads opening up and coming undone, Goruck fixed them without issue. Do you need a nearly $300 pack for EDC stuff? Maybe you do if you find the appeal of MOLLE and a very obviously placed loop for various hook morale patches or flag patches . 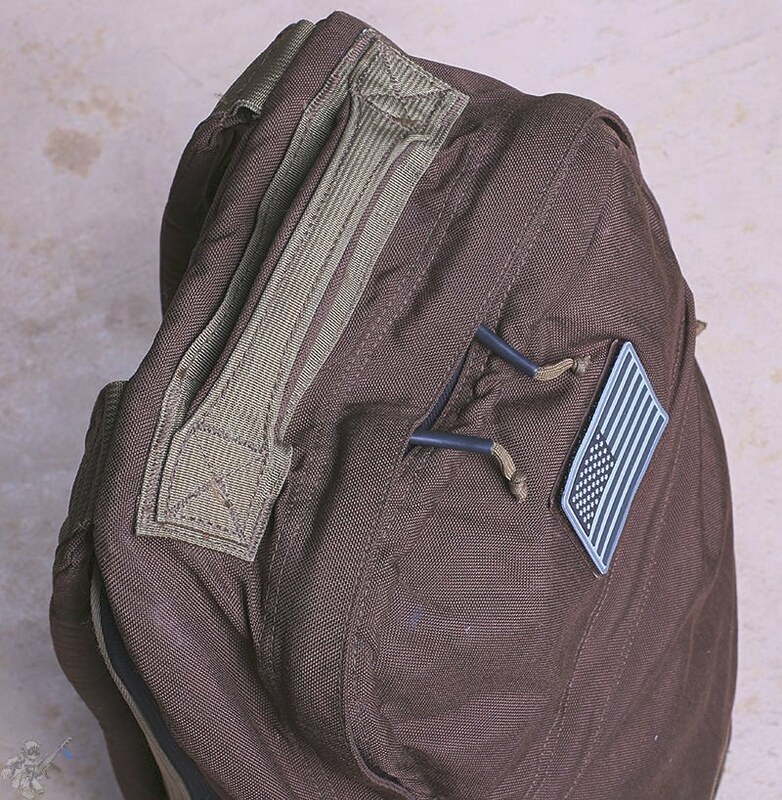 If, however, you are not cool enough to wear morale patches around town on your $300 non-operator operator bag, then you should look at a few other NPE type bags which will not stand out while still allowing you to have a quality setup. 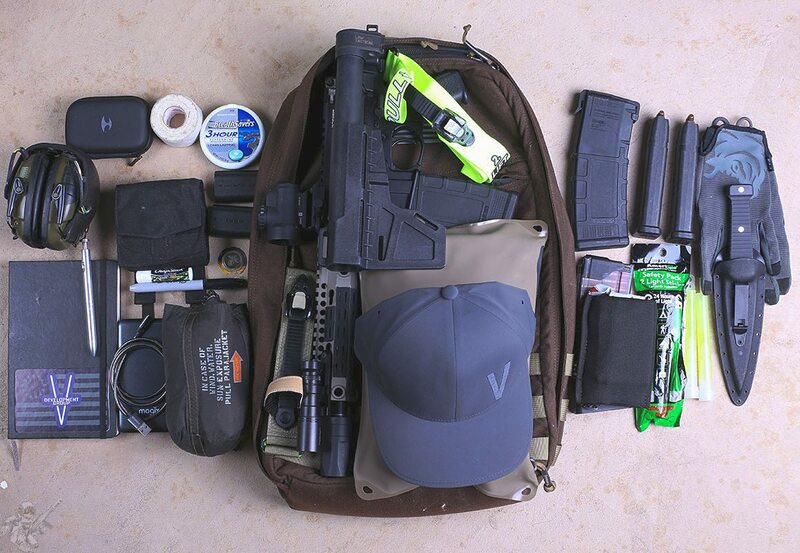 Just remember when selecting your EDC bag, you should first look around at the area you frequent and see what other people are carrying. That should be your starting off point for bag choice style. If you live in an area where everyone has a multicam bag with MOLLE then you should get one of those types. If you are always around an area where people have little commuter bags or messenger bags, then you should consider one of those. 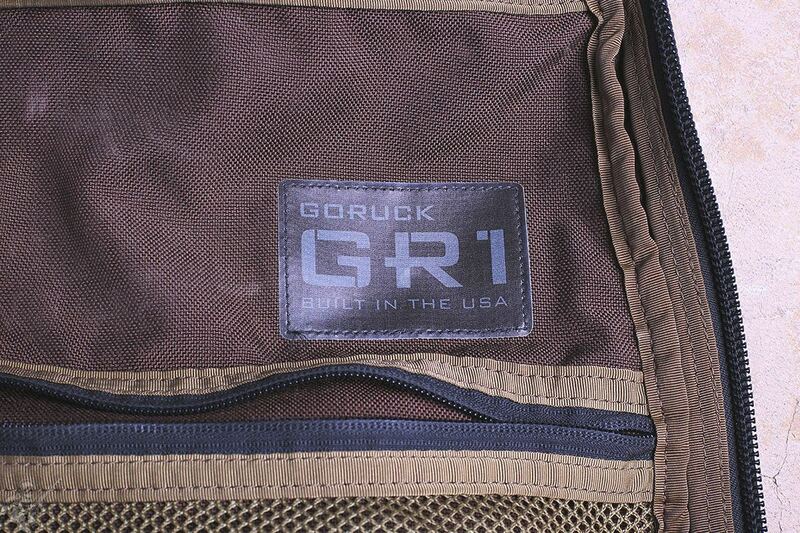 If you want a purpose built "ruck" type EDC bag the GR1 would probably work well for you. 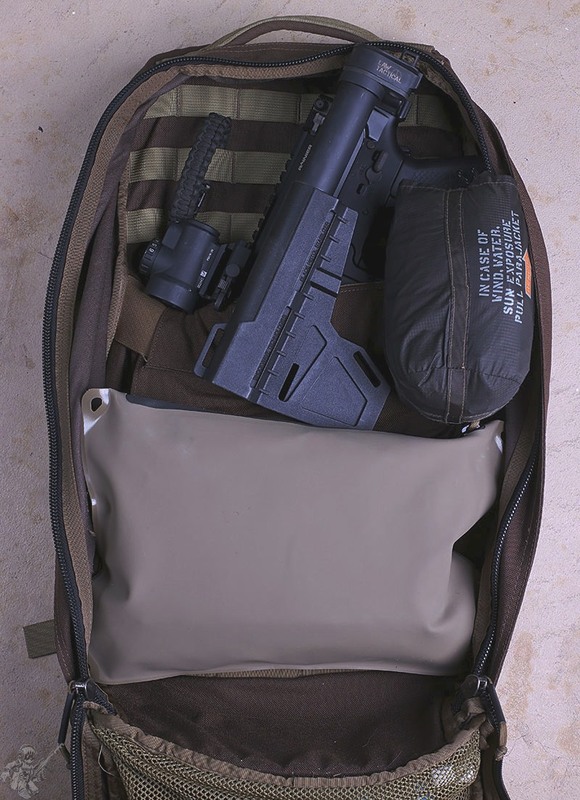 Also, just to point out, if you are looking for a legit hunting/outdoors pack which has a frame or support setup available for it then look at companies like KUIU for that as those type of companies make purpose built gear you are not going to find anywhere else and while the GR1 may work for that mission, I would not recommend going that route. Mission drives gear, always.